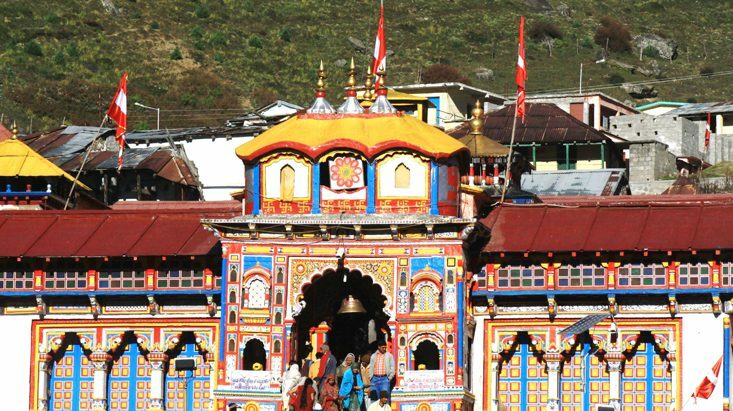 Badrinath is one of the Dhams of the famous Chota Char Dham circuit and is a Hindu temple dedicated to the worship of Lord Vishnu. Many Hindus consider a pilgrim to Badrinath as their bound duty and there is also this belief that making a pilgrimage to this place washes away their sins. There is another reason why Badrinath dominates the consciousness of its followers, and it is Hindus consider it as the holiest of all the Char Dhams. Located in the picturesque district of Chamoli, Uttarakhand, it is open to followers every year from the end of April to the start of November except monsoon season (July – August). It is visited by millions of pilgrims every year, making it amongst the most visited pilgrim centers in the India. There is an air of mystery and spirituality surrounding the temple, and there are many legends that enchant one and all. One among them is the legend which tries to justify the abolition of the blowing of Conch in the temple. There are many scientific reasons as well as to why the Conch is not blown inside the temple premises, and they are very interesting. The blowing of the Conch is an integral part of any religious ritual and if it is banned from becoming a part of the ritual, there has to be precise and believable justifications. Experts say that since the Badrinath temple is covered in ice almost all throughout the year, the blowing of the Conch can create echoes -a unique phenomenon aided by the nearby mountains, which can break the ice and endanger human life. There is enough evidence to prove that the Conch sound creates waves of a certain frequency which in turn creates turbulence in the ecological environment of the place. It can also give rise to ice storms which again is not a good sign for the icy covered region. Given this context, there was no other alternative than to ban the Conch even though the Conch happens to be Lord Vishnu’s favorite musical instrument. Ice storms, experts believe are also responsible for land degradation and harm the micro elements of the place which might have long-term effects. According to legends, one day when Goddess Lakshmi in her Tulshi incarnate was meditating in the Char Dham, Lord Vishnu slaughtered the demon Shankhachud. To ensure that Goddess Lakshmi doesn’t have to recall the gruesome incident the blowing of the Conch was banned in Badrinath. Then, according to another legend when the great sage Agastya was slaughtering the demons in Kedarnath, two demons Vatapi and Atapi managed to escape the carnage. The demon Atapi took refuge in the Mandakani river, while Vatapi choose the Conch to save his life. It is believed that if someone blows the Conch, then the Vatapi demon would come out of the Conch. These are reasons why the Conch is not blown in Badrinath Dham.